Sent #10 - What does this passage tell us about money & giving? No amount of money will ever take the place of heart that is right with God. Sent #9 - This passage teaches that God is sovereign and God is good. But sometimes followers of Jesus get hit by opposition which can be a way of God working to shape us. Sent #6 - Pr Mike teaches us about who Jesus is. There is no other name by which we are saved. Sent #6 - Julie Wiemann teaches about the power of the Holy Spirit from the book of Acts. Pastor Mike talks about the miraculous healing that happens in this passage. We learn that God still heals today, in many ways, but his ultimate plan for healing is in heaven. The Church: Acts 2 teaches us that the church is about Bible teaching, relationships, prayer, generosity and communion. Sent #4 - MVP of the church. Christianity isn’t about one leader, it’s a movement where everybody is invited to play a role. Sent #3 - The Holy Spirit and speaking in tongues. The Holy Spirit fills us and empowers us to do life with God and for God. Sent #2 - Judas Iscariot and Peter: both of them failed Jesus, but the outcome was different for each. 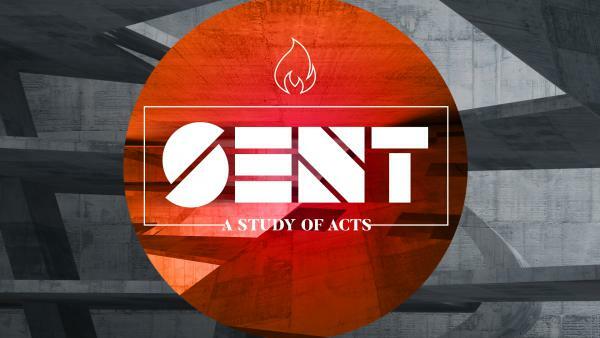 Sent #1 - Pr Mike introduces a new series on the book of Acts. Jesus calls us to go into the world and change it by sharing the Good News of the Kingdom of God.